Taking its name from Jezreel, the Biblical city founded by the tribe of Issachar, where God is said to have cursed Ahab for his greed, this singing duo’s debut Wackies album is steeped in rasta spirituality. Clive Davis and Christopher Harvey step forward from the backing line ? 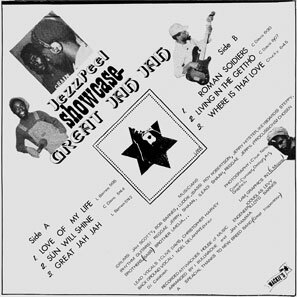 on innumerable Sugar Minott sessions for example ? and into the company of the great JA vocal combos of the late seventies: as at home with Viceroys-style harmonies as with traditional Impressions- and doowop-derived flourishes; as comfortable riding Channel One-style steppers as with more laid-back, lovers grooves. 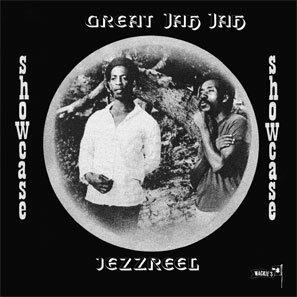 This is a showcase LP, with all tracks extending into inventive dubs. Arrangements are by Lloyd Barnes and Jah Hamma, aka Prince Douglas, who also work the mixing desk.